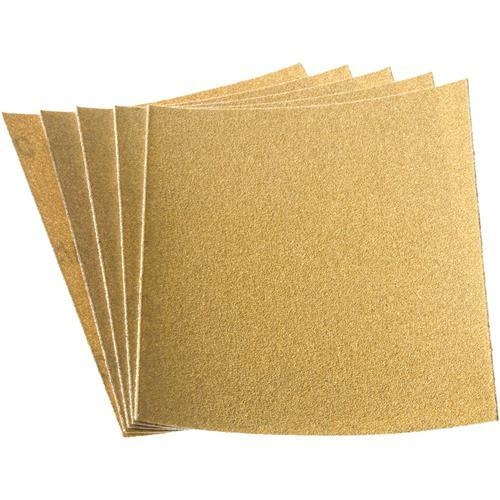 4-1/2" x 5-1/2" A/O Sanding Sheet 150 Grit H&L, 5 pk. Grizzly G3865 - 4-1/2" x 5-1/2" A/O Sanding Sheet 150 Grit H&L, 5 pk. Ideal for hook and loop palm sanders, these 150 grit, felt backed aluminum oxide sanding sheets and measure 4-1/2" x 5-1/2". Come in a 5 pack.